At KitchenAlity, we proudly provide professional kitchen remodel services to homeowners throughout the entire Tampa Bay, Florida, area. Remodeling kitchens is a passion for us, and we are devoted to helping homeowners from throughout the area bring personality into the room where they spend more time than any other. The road to a new kitchen from KitchenAlity begins with a consultation, which will take place right in your kitchen. We’ll discuss what you like about your kitchen, what you dislike, and what you’d like to see your kitchen become. 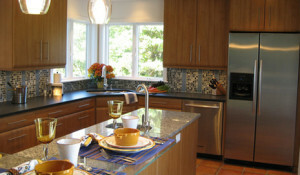 Then, we’ll take that information and incorporate it into a new kitchen design plan. From there, we’ll create a 3D rendering for you to review. And we won’t begin to remodel your kitchen until we have your final approval. If you’re interested in finding out more about how our trusted, professional team can remodel your kitchen, please contact us today. No matter where you reside in the Tampa Bay, FL, area, we’ll be happy to serve you. And, we’ll even extend an in-home consultation for you to help bring ideas for a new kitchen to life.